If all parties agree to the Court's tentative ruling, that ruling will become the order of the Court. Telephone the other parties or their attorneys by 4:00 p.m. the day before the scheduled hearing date. It is not necessary to speak directly with counsel or the other parties; it is alright to leave a message. Tentative rulings are available by 2:00 p.m. by clicking below on the court day preceding the hearing date. The tentative rulings include all family law departments with matters on law and motion calendars for the following day. The date of each ruling is listed at the top of each file. Be sure to verify the date when viewing the rulings. PLEASE NOTE: Family law cases that are designated as confidential by California law will not be posted online. For tentative rulings in those matters, please contact the judicial secretary at (415) 444-7260. Confidential cases include matters involving unmarried parents. Tentative rulings are proposed decisions made by judicial officers prior to a law and motion hearing, advising the parties of how the Court intends to rule if the parties do not elect to make oral arguments. 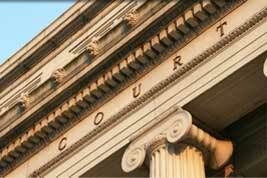 The Court's tentative rulings system complies with California Rule of Court section 3.1308. Family law tentative rulings are available the court day before a law and motion calendar between the hours of 2:00 p.m. and 4:00 p.m.